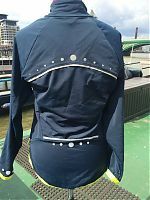 While I was ill, I found myself mostly working on two in-depth projects – both of which were navy blue jackets for some strange reason! 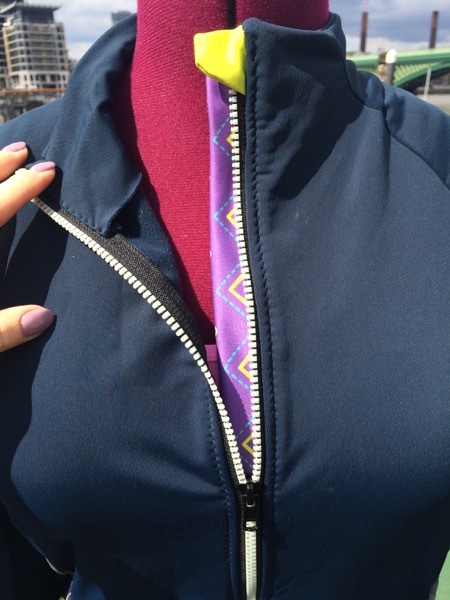 You’ve already seen my wool lumberjacket but I also made myself another StyleArc Steffi jacket pattern, too. 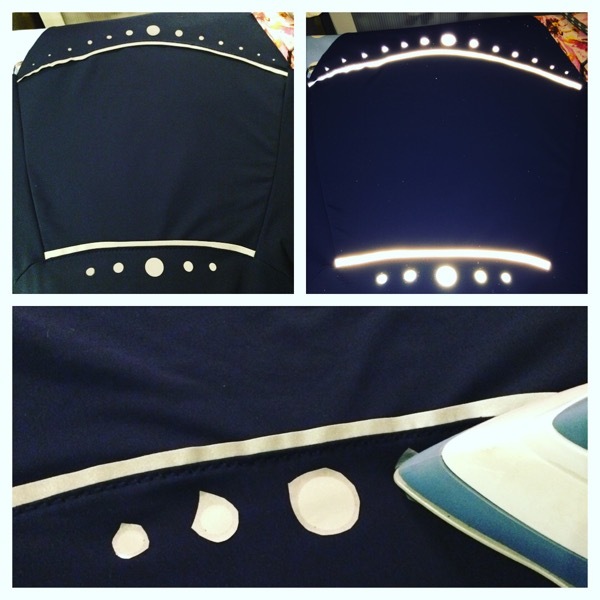 Some of you may recall that I made this a pattern few years ago and sewed some twinkling LEDs into the back of it! 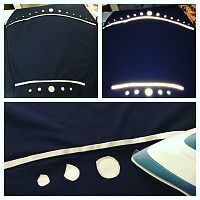 At the time, there were a bunch of problems in the instructions (as well as an inadequate seam allowance in one spot, too) so I let StyleArc know about them, and they corrected them, and posted me the corrected version along with another pattern of my choice. Which is freaking awesome customer service if you ask me! I’m pleased to report that the corrected version of the pattern is much, much better. There’s still a major step missing (if I recall, it’s one of the vertical body seams), but everything else is better so it wasn’t quite as frustrating to sew this time around. But this isn’t my best work, not by a long shot – I made this when I was feeling really bad and couldn’t sit up for more than 10min at a time, and felt like a zombie for weeks on end. 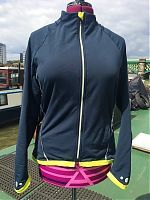 But it’s nice enough for a functional cycling jacket when the weather is warmer, and possibly for winter running, too, though I’ve missed that almost entirely this year. Boo. 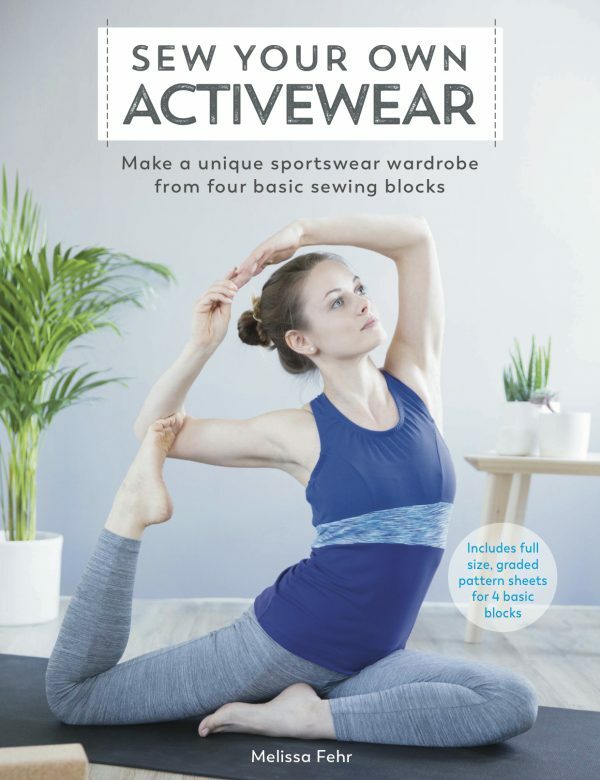 The main fabric here is some off-cut stuff from my Sweaty Betty industry friend – it’s navy lycra on the outside and super soft brushed fleece on this inside. 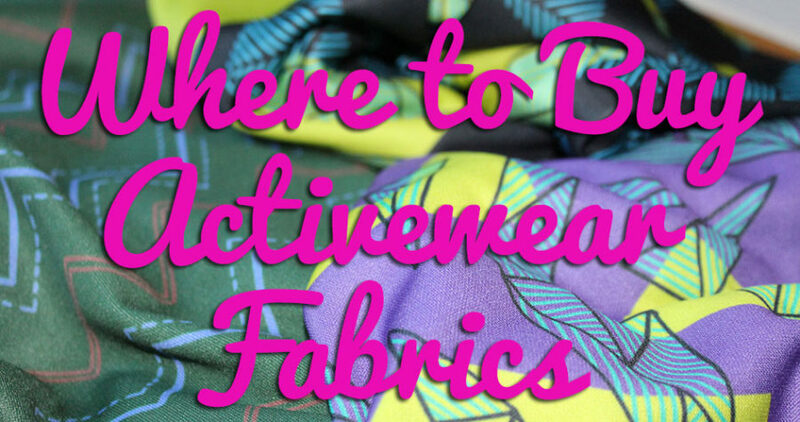 At the time I received it, I’d never seen anything quite like it, but as it’s been maturing in my stash, the FunkiFabrics thermo range has since been released, and I can tell you that it’s really similar. So if you’re after a fabric that’s both stretchy and warm for a jacket like this, I’d definitely recommend the thermo. 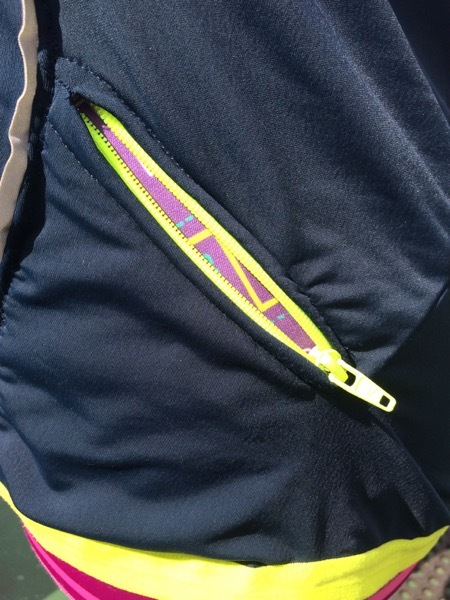 The pocket linings and zip shield use offcuts of Laurie King X Fehr Trade Spoonflower fabrics from my zigzag XYT Workout Top, and the two neon yellow pocket zips I bought off eBay. 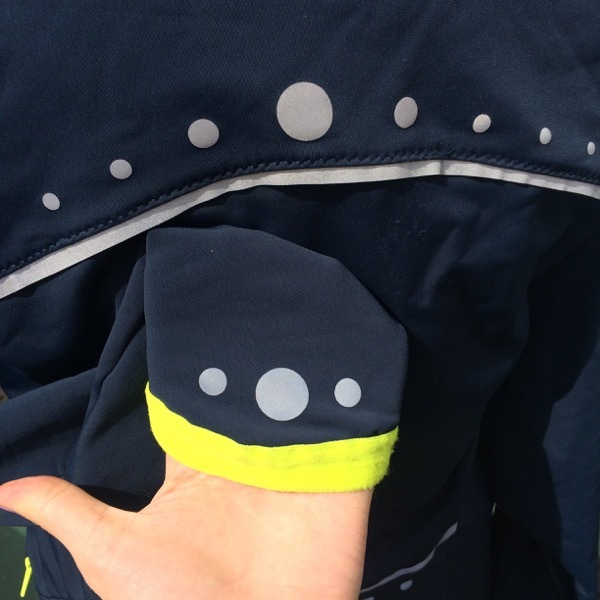 The iron-on reflective dots and reflective elastic were a gift from Susan (aka Measure Twice Cut Once) when she was over in London last year, as well as the way cool glow in the dark main zipper – she has all of this stuff plus other cool reflective bits available in her shop, just sayin’. The reflective dots were quite fun to iron onto wherever I wanted a bit more visibility on the road – I added them to both the top and bottom of the back, as well as the sleeve cuffs so I can be seen as I indicate to turn or come into a lane. 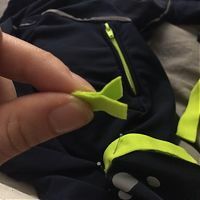 The reflective elastic is something I’ve never seen before and I was SO keen to try it, but it was really difficult to work with – I tested stretching a length of it before I sewed anything, and the moment I did, it stretched way out of shape, its width shrank in half, and it went ripply. 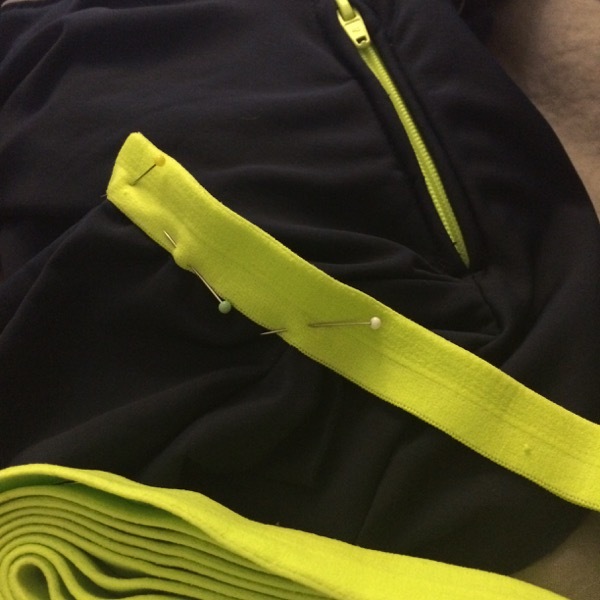 So I basically had to treat it as a non-stretch “piping”, which worked for the relatively straight back seams, but not so well on the front ones. 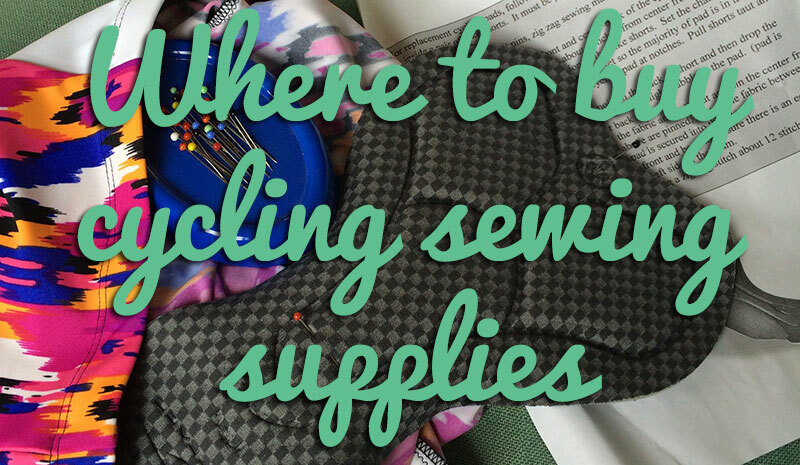 I should probably go back and zigzag topstitch them down, really. The hem and sleeve hems are meant to be finished in elastic binding, but I found some cool neon yellow elastic from Sewing Chest I used here instead. It’s not FOE but is actually Y shaped, so it gives an extra wide finish. 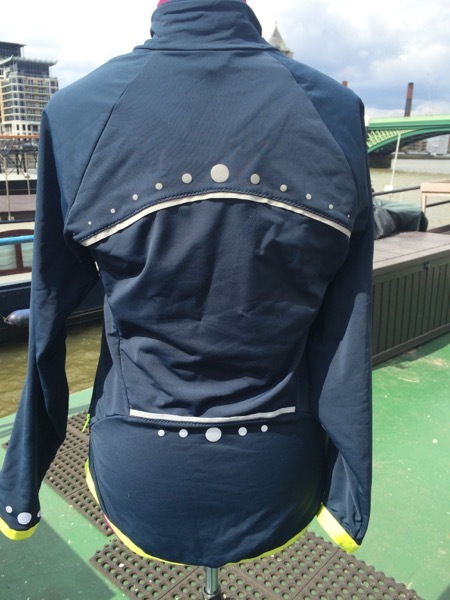 I’ve worn this jacket on my cycling commute a few times when it’s been too warm for my Harriet jacket, and I like the fit in the stretchy material much more than the LED one. 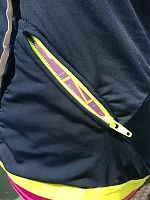 The only thing that still bothers me though, is that the pocket placement always feels too wide for me. When I instinctively go for a pocket, my hands want to go in the centre panel instead of the next one back (where the openings actually are). But that’s a minor thing really! 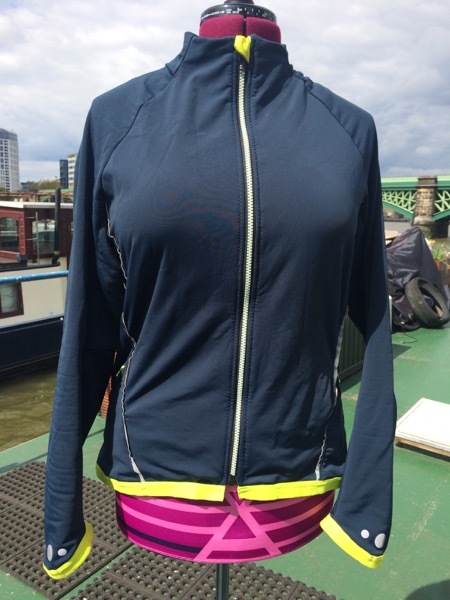 Separator image Posted in Gallery and tagged with exercise, jacket, style-arc.